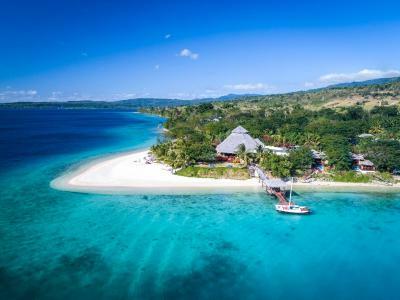 Lock in a great price for The Havannah Vanuatu – Exclusively for Adults – rated 9.5 by recent guests! 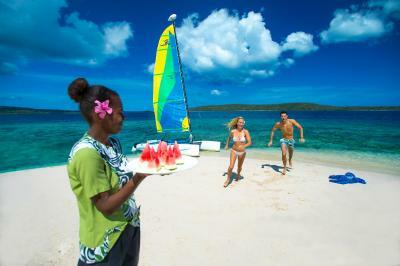 Exceptional location with an amazing staff that will make your stay a truly memorable one. Fabulous dining. Snorkeling right off the beach. The villa we stayed at exceeded our expectations. Highly recommendable. Warmly welcomed upon arrival. The room was absolutely beautiful, neat and clean. Amazing view on the sea. 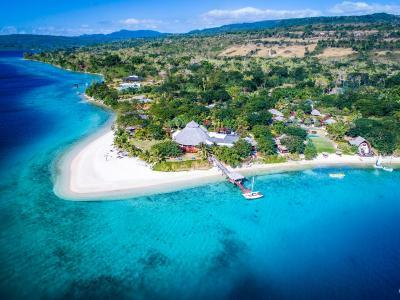 They offer complementary water sports and this is awesome, we used the kayaks, stand up paddles, snorkeling gear and the hobbie cats (to go all to way to Moso islands). The Christmas eve dinner was fabulous. I loved everything. 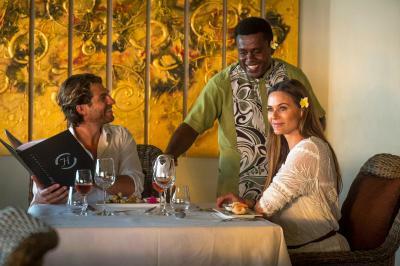 The location, room, staff, weather, food and colour of the ocean were all amazing! A truly luxurious resort. It is as beautiful as it appears in the pictures. The staff were all friendly, helpful and professional. 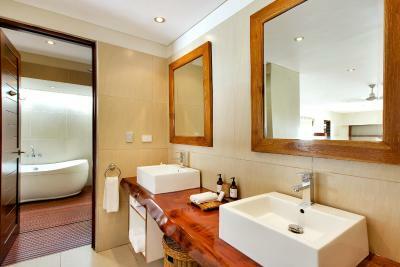 The rooms were extremely comfortable, clean and well appointed. 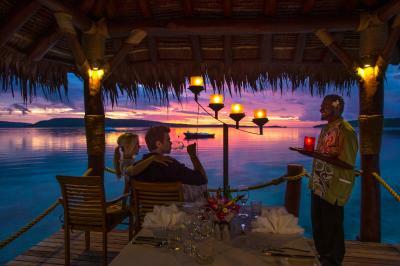 The restaurant was fabulous, with an extensive menu. We never had to wait for sporting equipment. Snorkelling and swimming were right in front of the resort. 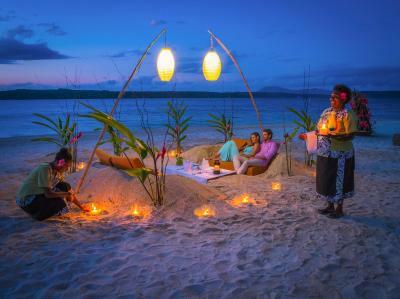 If you want a private, quiet, relaxing holiday you couldn't do better. The staff and managers were very welcoming and very helpful. 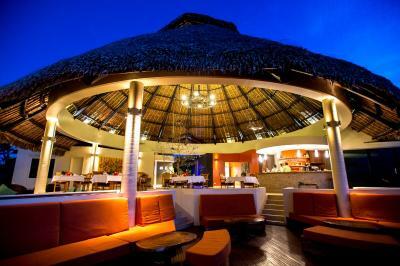 Serenity, cleanliness, excellent service, relaxing atmosphere, excellent food, smiling faces all around. Best resort we've been to. Staff, Food, Accomodation, Location all 5 star! Loved our stay here! We will be back! Amazing resort, quiet, romantic and beautiful. 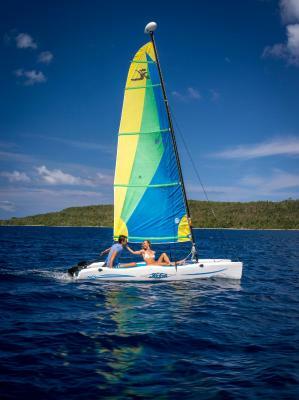 Great water sport facilities - Kayaks, paddle boards, snorkeling all included as well as a beautiful sunset cruise and fishing! Food was 11/10 - amazing as well as the entertainment (chilled band) Great service and staff. Highly recommend! 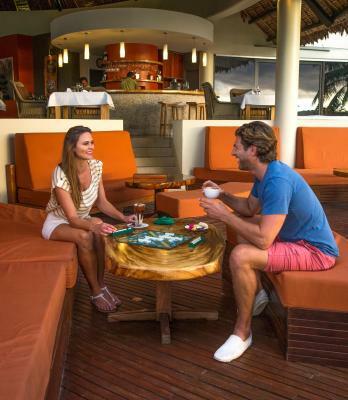 The Havannah Vanuatu – Exclusively for Adults This rating is a reflection of how the property compares to the industry standard when it comes to price, facilities and services available. It's based on a self-evaluation by the property. Use this rating to help choose your stay! 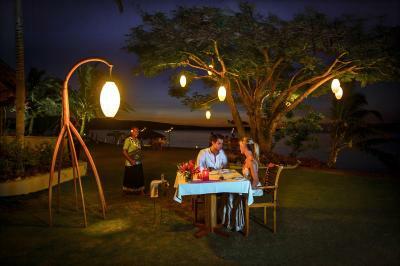 One of our top picks in Port Vila – and a guest favorite. 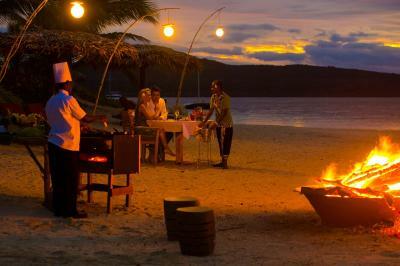 Dining is a pleasure with chefs producing innovative dishes with French and Asian influences and tropical cocktails. 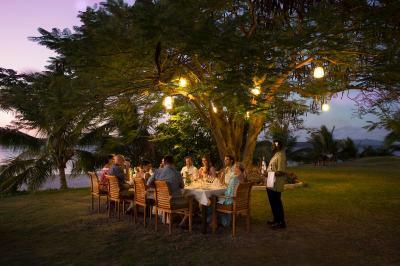 Guests can choose to enjoy a meal in the Point Restaurant, overlooking Hanannah Harbor or in one of many private dining settings around the resort. 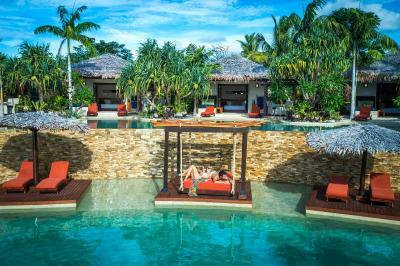 The waterfront villas have private plunge pools, while the lagoon pool villas have direct access to the resorts lagoon pool. All villas are private and feature individually controlled air-conditioning, ceiling fans, luxurious en suites, king-sized beds, a flat-screen TV, DVD player and an iPod docking station. 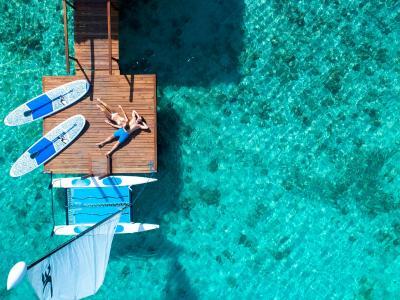 While you may just want to relax during your time at The Havannah, there are also a wide selection of activities to choose from. 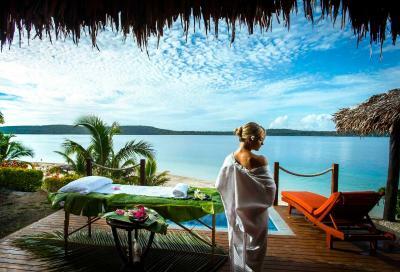 There is an on-site day spa, with a range of treatments or you can take a free daily shuttle service to Port Vila city center. 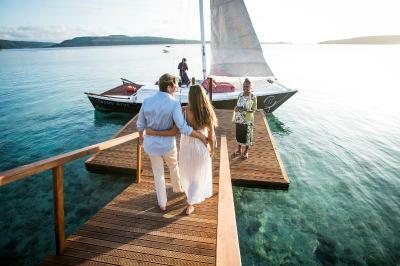 Complimentary access to snorkeling equipment, kayaks, standup-paddle-boards, sailing and tennis courts are provided. 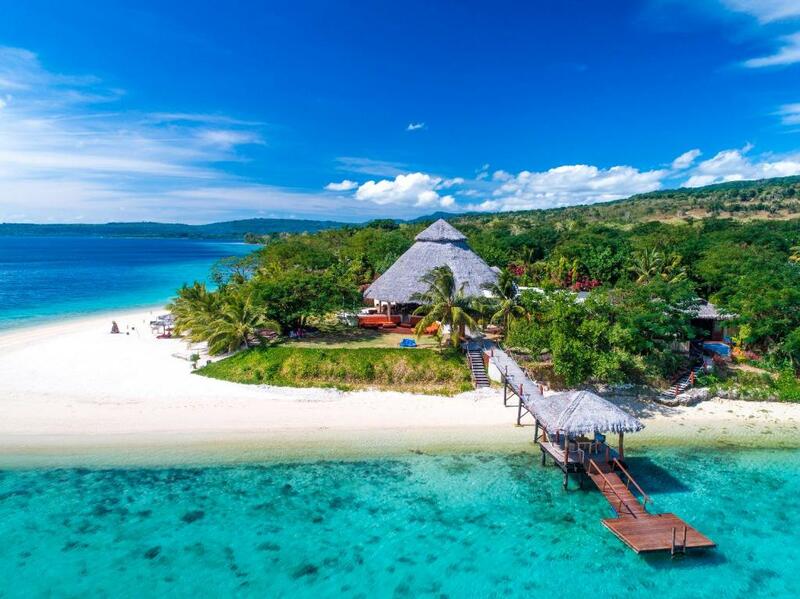 Alternatively, the property has a variety of tours to choose from, including day trips to the island of Tanna to see Mt Yasur. 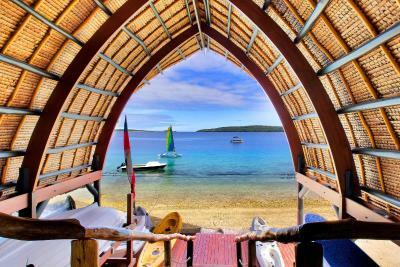 This property also has one of the top-rated locations in Port Vila! Guests are happier about it compared to other properties in the area. 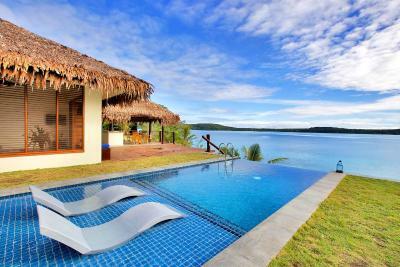 This property is also rated for the best value in Port Vila! Guests are getting more for their money when compared to other properties in this city. 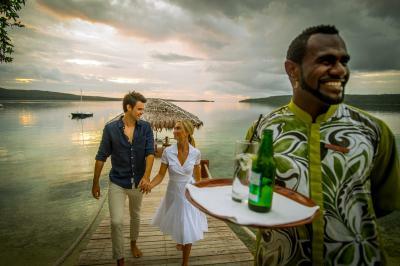 When would you like to stay at The Havannah Vanuatu – Exclusively for Adults? Features a small private garden in front of the villa. - Nightly turn down service. 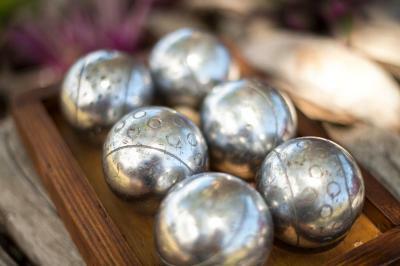 - Complimentary afternoon tea service from 15:00-16:00 daily in the resort main lounge area. 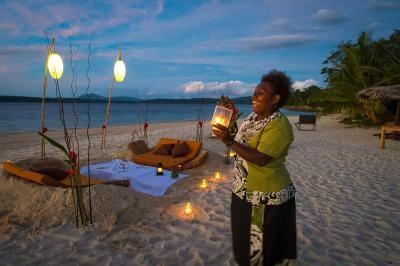 - A gift from The Havannah Vanuatu: A Havannah Sarong & Havannah Beach Bag and more. 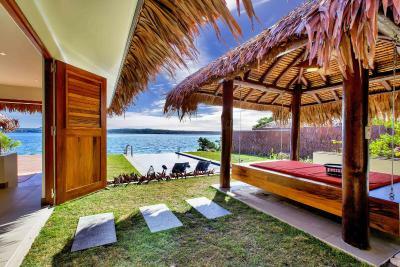 Features private access to the lagoon pool with waterfall. Features a private infinity-edge plunge pool. 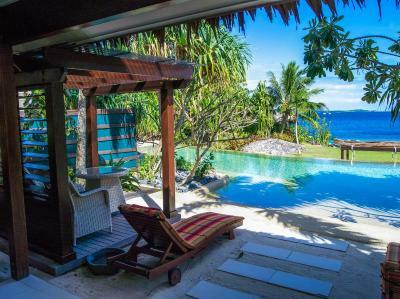 This luxurious, split-level villa features a 68 square yard deck offering views across the sparkling blue waters and neighboring islands. It features a 23 foot infinity edge swimming pool and a sun deck suspended over the beach with a dining setting and day bed. There is an indoor/outdoor bathroom with a walk in shower and a bathtub set in its own garden. 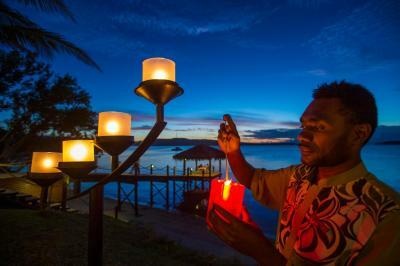 House Rules The Havannah Vanuatu – Exclusively for Adults takes special requests – add in the next step! 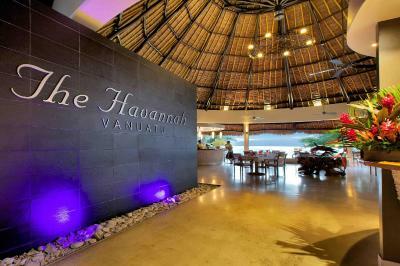 The Havannah Vanuatu – Exclusively for Adults accepts these cards and reserves the right to temporarily hold an amount prior to arrival. Please note that you must pay the property in currency VUV. The displayed amount in any other currency is indicative only and based on today’s exchange rate. There may be a difference in the room rate if you pay in local currency or by credit card (due to currency exchange rates). Please note that children under the age of 16 cannot be accommodated at this property. Children older than 16 are welcome. Was very fine dining delicious but could do bigger portions sizes! Would like to see some local dishes in the menu, but apart from this everything was perfect. The internet access needs improvement. Typically people have many iot devices and the available internet in the villas is not up to what is standard. Everything!! Except what I mentioned below. More vegetables and salads in main courses for meals to be more nutritionally balanced. Far from Port Vila only downside if you want to explore the town. Set menu for lunch and dinner every night need more options. Lacks a bit of character on the decor. With the kind of budget they're dealing with, they could do a slightly better job on the ambience, make it more local. 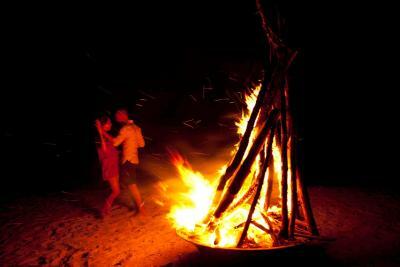 Bali resorts, for example, really know how to do that with class. While the included breakfast was excellent and super generous, dinner wasn't as good. But you kind of have no choice other than eating in there. 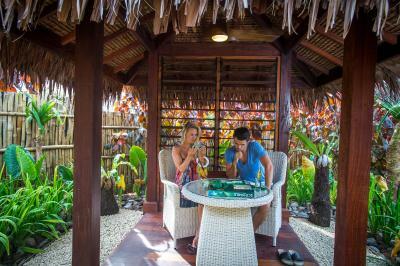 After 5 days under dire conditions in Tanna, we spoiled ourselves on this pristine resort. We enjoyed the beautiful snorkelling just out the front, they provide everything: reef shoes, flippers, goggles, stand up paddle board, kayaks and there's even a complimentary sunset cruise every day, which is almost unnecessary, since the resort already has a privileged position to watch the sunset. 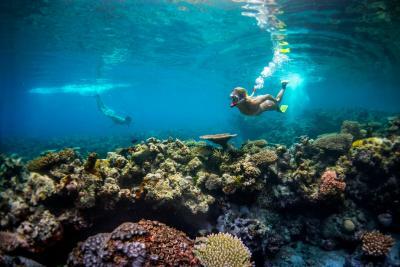 The swimming pool could be better, but then again, you have a beautiful ocean out there to explore, with plenty of fish and lots of coral. Shame we didn't get to see turtles or dolphins, they're know to hang around sometimes. Staff were super nice and friendly and always happy to accommodate our needs, even when arranging our transport to another hotel near the airport before our departure. Perfect location, setting, views, facilities, wAter sports and activities, rooms, things to do, access to town etc.